Faced with widespread underperformance and inequalities of opportunity and outcomes, Portugal is reorganizing and modernizing its school network, grouping schools in 'clusters' that offer better facilities for all. 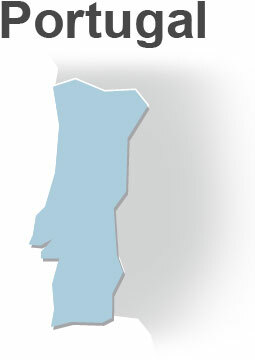 Portuguese society has long been marked by low levels of education. As recently as the mid-1970s, one out of five people of working age in Portugal was illiterate. Less than one person in 20 had completed upper secondary education. In 1995, only 52 percent of Portuguese school students graduated from upper secondary school, compared with an average for OECD countries of 74 percent. Portuguese teachers spent less time teaching in class than teachers in many other OECD countries: an average of 783 hours in 1996 in primary school, against an OECD average of 817, and 644 hours in lower secondary school, against an OECD average of 716. High grade-repetition rates discouraged many students from staying in school. In 1997, 15.3 percent of pupils were obliged to repeat a grade at primary or lower secondary level. At upper secondary level (grades 10-12), the proportion was more than twice as high, at 36.6 percent. The PISA tests of 2000 revealed Portugal as one of the lowest performing OECD countries in reading. With an average score of 470, Portugal lagged behind Greece. The proportion of Portuguese students performing below baseline Level 2 was one of the highest among all countries participating. PISA 2000 sparked a national debate on education policy and wide-ranging reforms. One of the most important was a decision to reorganize the school network, with the closure of many small schools with poor facilities and an extensive program of construction of new schools. Between 2006 and 2010, more than 2500 small primary schools with fewer than 10 pupils or with higher-than-average rates of grade-repetition were closed. Existing schools were expanded and new schools built with better facilities. Portugal held spending on education stable at 5.2 percent of its gross domestic product in 2008, level with 2000 and up from 4.9 percent in 1995, despite a decline in the school-age population. As a result expenditure per student at primary and secondary level increased. The proportion of pupils graduating from upper secondary education, though still below the OECD average of 80 percent, rose to 63 percent in 2008 from 52 percent in 2000. Though more than half of Portugal's working age population still had no more than primary school education, some 8,000 students aged over 25 obtained upper secondary qualifications in 2008, thanks to a "New Opportunities" program launched in 2005. In 2009, under the same program, more than 50,000 students aged over 25 obtained upper secondary qualifications. As a result, the proportion of pupils graduating from upper secondary education jumped to 96 percent in 2009, compared with an OECD average of 82 percent. In the PISA tests of 2009, Portuguese students scored an average 489 points in reading, up from 470 in 2000. In mathematics, they scored an average 487 points, against 466 points in 2003, and in science they scored an average 493 points, against 474 in 2006. Portugal's weak results in the 2000 PISA tests spotlighted major shortcomings in the nation's education system. In rural areas, many primary schools were small and isolated. In towns and cities, schools were often so crowded that they had to operate a double shift. Students, particularly from disadvantaged backgrounds, frequently had to repeat grades. Many eventually dropped out of school. A national debate on education led to wide-ranging reforms. One of the most significant was a decision to reorganize the school network by creating "school clusters" bringing together several schools in a single educational project. A typical cluster may consist of five to 10 pre-school units and primary schools feeding into a single lower secondary school. Each cluster is led by a director who is appointed by a council of teachers, parents, students, municipal leaders and other relevant community and institutional representatives. The Ministry of Education and municipalities work together to create clusters, deciding on the construction of new schools on the basis of numbers of students and schools, geographical factors and demographic indicators. Thanks to their broader range of staff and better facilities, these clusters help to improve work organisation and teacher collaboration, thereby providing better and more extensive services for students. In parallel, Portugal has raised teachers' salaries, to the point where they are now around 19 percent higher than those of many workers with similar tertiary education in other sectors. Working hours have also been extended. Teachers spent 875 hours teaching in class in primary school in 2009 against 855 hours in 2008 and only 783 hours in 1996, and 770 hours in lower secondary school against 752 hours in 2008 and 644 in 1996. More effective use is being made of ICT and e-learning, supported by investment in ICT infrastructure. Full-time school and extra-curricular activities have become generalized, in parallel with in-service training for teachers of mathematics, Portuguese language, science and ICT. New systems have been introduced for evaluating teachers and schools, and a National Plan has been launched to improve students' reading proficiency and foster good reading habits. All students in 4th, 6th and 9th grades are now subject to annual assessments in Portuguese and mathematics. In August 2009, Portugal raised the school leaving age to 18. Coupled with rising education levels among the population as a whole, in turn leading to rising expectations on the part of parents, the reforms are helping to raise student performance. The proportion of pupils that have to repeat a grade at primary or lower secondary level has fallen sharply, to 12.8 percent in the case of ninth-grade pupils in 2009, down from 21.5 percent in 2005. In the 2009 PISA tests, Portuguese students, while still performing below the OECD average, showed improvements in all areas. Results also showed a reduction in the impact on students' learning outcomes of their socio-economic background, signifying a more equitable schooling system overall.